icon_vacationagent AIG’S new flexible, customized insurance policies address the concerns of today’s traveling public. Terrorist attacks, virus outbreaks and other global events generally impact leisure travelers in two ways: Most become more circumspect regarding the destinations to which they journey and are more aware of the risks inherent in traveling far from home. Thus, it should come as no surprise that travel insurance sales have climbed significantly in recent years. The U.S. Travel Insurance Association (USTIA)’s 2008 market survey reported that Americans spent just over $1.58 billion on travel insurance the previous year. By 2014, that figure had climbed to $2.2 billion. The number of Americans covered by a USTIA-member plan also increased during that time from 28 million to 33.4 million. Fortunately, travel agents have a wide range of new technology-based options to offer their clients that tailor travel insurance policies to individual needs. At the forefront of the movement is AIG Travel, which earlier this year launched a new initiative offering travel agents the ability to create customized coverage packages from an array of separate individual product components. Under AIG’s program, benefits—including trip cancellation and security evacuation—will be available on an individual basis and reflect a range of possible variables of coverage and limits. This flexibility provides agents with an array of components to craft packages tied to specific customer demand and demographics. “In today’s society, the definition of a ‘traditional family’ has changed, which is why we expect the ‘Name Your Family’ feature to appeal to a broad range of consumers, including Millennials and the LGBTQ community,” said Robert Gallagher, senior vice president and COO of AIG Travel. The new program enables travelers to name five individuals of their choosing as their “family,” which differs from traditional policies that define who constitutes a family member, Gallagher said. —Insufficient/excessive water levels: The coverage reimburses trip costs for floods or droughts affecting areas where the insured was scheduled to embark on a river or oceangoing cruise. —Wedding cancellations: This new product covers the insured guest if a trip is canceled due to either the bride or the groom calling off the wedding. —Trip curtailment due to the mechanical breakdown of an owned or rented vehicle: If the traveler’s vehicle breaks down, they would be covered for the costs of the loss of their vacation time while the vehicle is being repaired or replaced. —Trip inconvenience coverage: This includes several new benefits, which are activated in a completely different manner than AIG’s other travel insurance options. The coverage provides a fixed benefit amount payable upon the stated inconvenient event occurring (as opposed to being limited to an expense reimbursement). Examples include payments for closed or shut-down theme parks or other attractions, cruise/flight diversions, hotel infestations, beach closures and runway delays. AIG has also expanded coverage benefits for other products. —Pet-named perils: Expanded options are available for dog and cat owners and provide coverage if the insured’s pet is injured while traveling and needs to be taken to a veterinarian. The coverage also provides a benefit if the pet dies after the insurance is purchased, but before the trip begins. —Security evacuation coverage: The coverage facilitates transportation out of unsafe/unstable situations, including political unrest or a natural disaster, and can be covered up to a specified benefit level. “We understand that consumers want a more personalized travel experience, which is why we have worked tirelessly to offer agents more options to provide a better-targeted spectrum of products—and ultimately a better experience for travelers” said Jeff Rutledge, AIG Travel’s CEO, adding that he expects the company’s new coverage options to become industry standards. The new coverages have been approved in the majority of U.S. states. 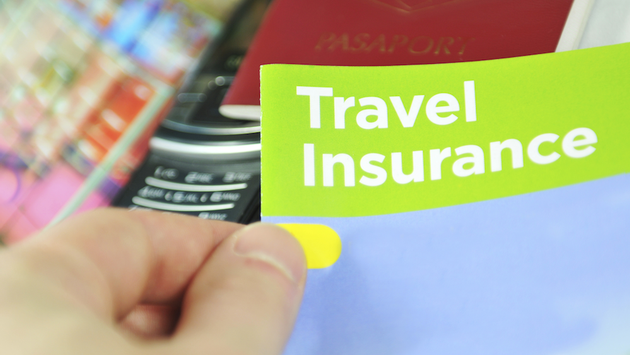 READ MORE: How Good is Your Credit Card’s Travel Insurance?